Sign up to gain access to thousands of marketing resources! Don’t worry … It’s FREE! Dorie Clark, author of the recently published Reinventing You: Define Your Brand, Imagine Your Future, has done quite a bit of reinvention herself. Having, at a fairly young age, received a master’s degree in theological studies from Harvard Divinity School, she went on to become a political reporter, a spokeswoman for Howard Dean’s unsuccessful presidential campaign, and, ultimately, a marketing strategy consultant for businesses and nonprofits. I invited her to Marketing Smarts to talk about her background, the concept of personal branding, the importance of producing your own content as part of a reinvention effort, and, finally, how one goes about finding and benefiting from work with a mentor. Here are just a few highlights of our conversation. Dorie and I covered a lot more ground in our conversation. I encourage you to listen to the whole show, which you may do above, or download the mp3 and listen at your convenience. Of course, you can also subscribe to the Marketing Smarts podcast in iTunes or via RSS and never miss an episode! 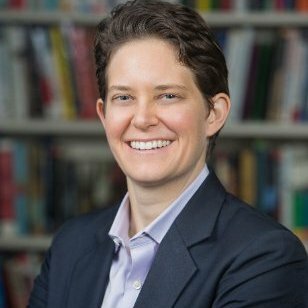 Dorie Clark, a former presidential campaign spokeswoman and the author of the newly released Harvard Business Review Publishing book Reinventing You: Define Your Brand, Imagine Your Future. She is a frequent contributor to the Harvard Business Review, Forbes, and many other publications. She is also a consultant and speaker for clients, including Google, Yale University, and the World Bank, and she is an adjunct professor of business administration at Duke University’s Fuqua School of Business.